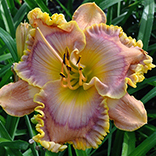 MERMAID PARADE (Dan Trimmer) Tetraploid (Ehren Thomas X Unknown) 29" EM Re. Ev. 5 1/2" (Sdlg. 8-58) Our medium plum purple cultivar has a small light chalky blue halo surrounded by a small white wire edge. 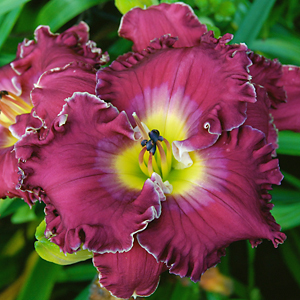 Easily fertile, vigorous this mermaid is a worthy addition to our line our purple introductions.